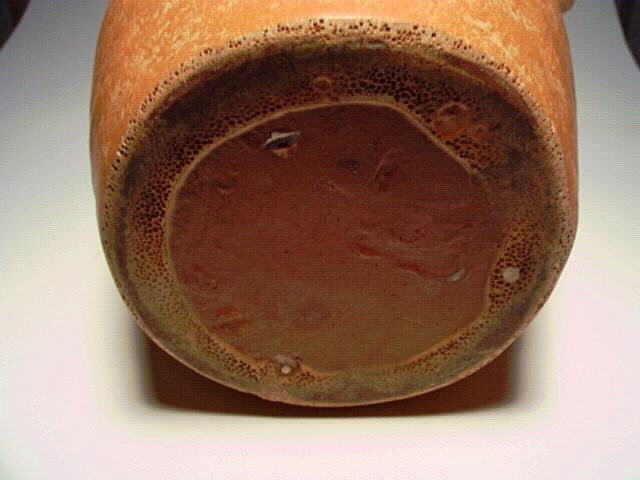 Description: Older, hand thrown vase with applied handles. Matte butterscotch or pumpkin glaze, but high gloss brown at the top. 7.5 inches tall. 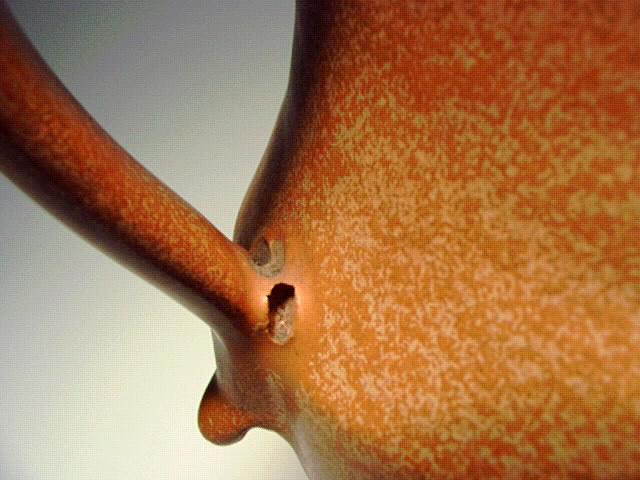 Only flaws are factory glaze bubbles as shown. Your vase is a Bybee/Waco vase; I have one just like it, also not marked. Yours has the classic stilt marks that Waco used. 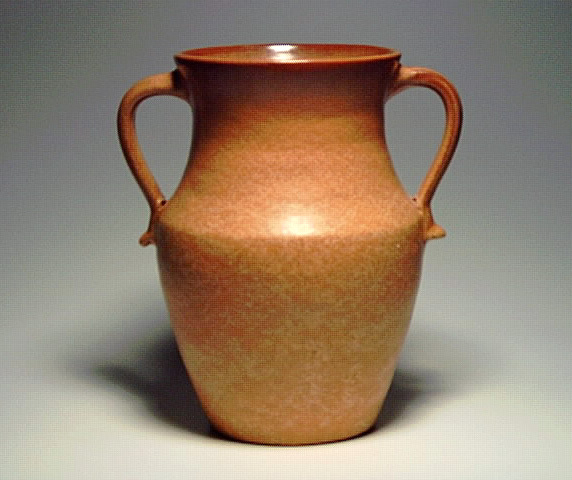 The butterscotch glaze is also one that both Bybee and Waco used on their pots.